With the rising cost of health insurance, Blue Cross Blue Shield of North Carolina understands the importance of offering customers payment options. In the past BCBSNC has allowed members to make initial payments and one-time monthly payments online using a major credit card, such as MasterCard and Visa. They have also allowed customers to pay their monthly premium using automatic bank draft through either a checking or savings account and Blue Cross Blue Shield NC will still allow members to use any of these convenient payment options. In addition, however, BCBSNC has added a recurring credit card payment option online for individual members who purchase a health or dental plan either on or off the Marketplace. What this means is that you now have the ability to set your premium payments up on automatic draft right from your credit card. Paying online has never been easier. Members simply register online with Blue Connect using the Member ID or Subscriber number located on your health card and manage your payments right from your home computer. Members paying online for their health coverage may choose to pay by bank draft, having premiums automatically deducted from a bank account on a recurring basis or by credit card, making a one-time initial payment OR having premiums automatically charged to a credit card on a recurring basis. This allows members the freedom to choose the best and most effective payment method for paying monthly health premiums. In addition to Visa and MasterCard, Blue Cross Blue Shield of NC also now accepts Discover cards, giving members even more payment options, and if a member needs to update the credit card currently on file, they may do so through member services using Blue Connect. Don’t forget that if you have purchased more than one policy, such as health and dental, you will be billed separately for each. 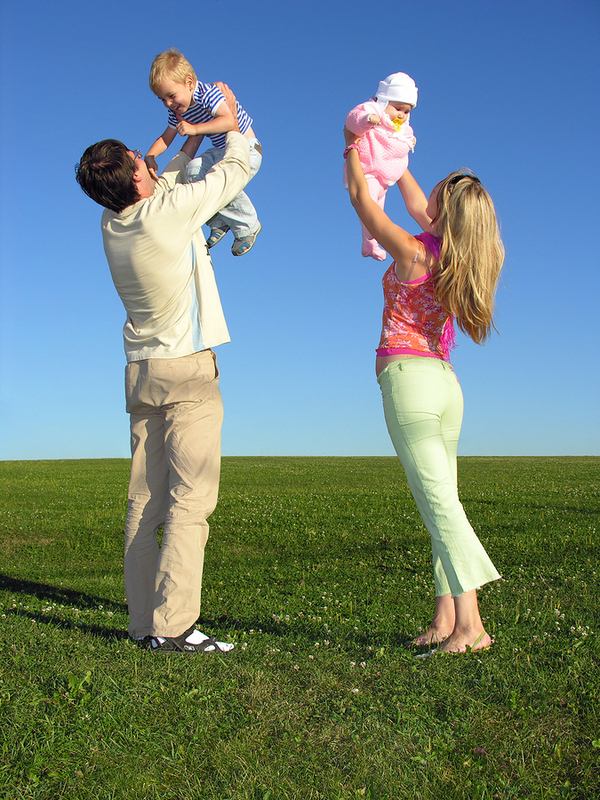 Discover the benefits of being a Blue Cross Blue Shield of North Carolina member today! Kara Withee has recently joined Jerry Ballard and Associates as a Customer Service Representative and Sales Associate for Blue Cross Blue Shield of North Carolina (BCBSNC). With over twelve years of customer service experience, Kara is a graduate of the University of Texas, El Paso with a Bachelor of Arts in English and American Literature and a Master of Arts degree in Comparative Literature and Cultural Studies from San Diego State University. Prior to joining our agency, Kara taught high school English and Elementary Spanish in both the public and private school sectors. 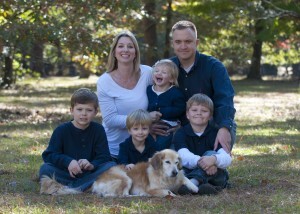 She relocated to Morehead City, NC in support of her husband’s military career and now resides there with her three sons, her daughter, a Golden Retriever and a house cat. In her spare time, Kara enjoys reading, paddle boarding and spending time with her children. For all your Blue Advantage, Blue Value, Blue Select and Dental Blue needs, Kara brings both personable and professional assistance to the health care industry and the residents of North Carolina and she is pleased to offer her service expertise to help you navigate through the Marketplace to determine subsidy eligibility and to guide you in choosing the best Blue Cross Blue Shield of North Carolina plans for you and your family. Kristen Baily has recently joined Jerry Ballard & Associates as a Customer Service & Sales Representative. She is a graduate of North Carolina State University with a Bachelor of Science in Business Management and a concentration in Human Resource Management. Kristen is joining our team with over 7 years of sales and customer service experience in the home building and real estate industry. 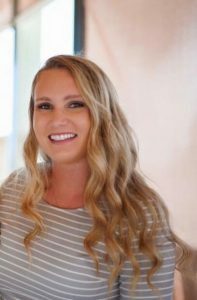 A native of Eastern North Carolina, Kristen enjoys living on the coast and boating with her family and friends in her spare time. 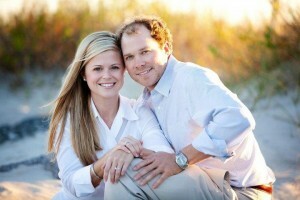 She and her husband reside in Beaufort with their two dogs. Kristen is thrilled to implement her experience in customer service and sales in the insurance world and she is looking forward to providing residents of North Carolina with the knowledge and guidance needed to select the Blue Cross Blue Shield of NC products that meet your health insurance needs and assist you in navigating through the Marketplace to determine subsidy eligibility. We want to make you aware of the Healthy Outcomes program offered by Blue Cross and Blue Shield of North Carolina to our currently enrolled customers. You can earn a $50 gift card by spending only 15 minutes of your time completing a health assessment. Simply log in or register at www.mybcbsnc.com and click on the “Wellness” tab. From there you can continue earning rewards, including up to a $125 premium credit on your December 2013 bill. The amount of premium credit you can earn is based on the number of years you have been enrolled. This convenient online program is available to all current BCBS members and provides valuable educational health information. The Healthy Outcomes Program will end on September 30th so act today and start earning your premium credit and $50 gift card! It is available to subscribers enrolled on an individual under-65 product, and to former under-65 individual subscribers who have been terminated for non-payment and are eligible for reinstatement. Customers can dial 1-800-333-7009, and use the automated system to make a payment. Only bank draft payments are accepted via phone. 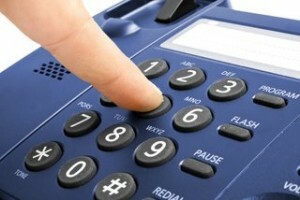 Credit card payments are NOT accepted over the phone. Customers must have personal checking or savings account information available, including their routing number and account number, in order to set up the payment over the phone. Also, remember Incorporated or LLC business checks cannot be processed. If reinstatement is not an option for you, click here to generate your new quote and start your on line application. Once you enroll in a BCBSNC policy, they will provide a comprehensive Member Guide, which will be mailed to your home. The Member Guide includes detailed information about your specific benefits and covered services. Additionally, BCBSNC provides valuable information and services on this Web site. You can either surf the site for the information you need or log on to My Member Services to access and change your member information instantly. Once your Online Application for BCBSNC insurance has been approved and your final rate has been issued, you will need to resume your application to accept and make payment. There are 3 ways to access the log in for resuming your application. 1. You can simply click here and enter your USER ID and Password. 2. You can go to the BCBSNC home page, locate the phrase “resume application” in the upper left of the home page. 3. You can click here and locate the Resume Application in the middle of our website and resume from here. Once you have entered your USER ID and Password, select resume next to your name. At this point, your original plan and your final rate will appear. Prior to making payment, you have the option to change plans and deductibles which can lower your premium, just click on the button “lower cost options” after you resume the application and you can view final rates for all available plans. Applying for insurance with BCBSNC is a very simple process. It does not cost anything to apply and you will have the opportunity to review your final rate before accepting a plan and making payment. To apply for Blue Advantage, Blue Options HSA and Dental Blue, you must first request and receive a personalized quote. Simply click here to request your personal quote and apply today. Next, your request will be submitted and received by Jerry Ballard & Associates. We will process your request and send your personalized quote to you via email. The quote will be emailed from ratequote@bcbsnc.com. Once you receive the email, you will want to be sure and turn off pop-up blockers and make sure the email did not go to any spam files. In the body of the email, you will see a link that says, View Your Rate Quote Here. Simply click on the link and your personalized quote will populate with all the Blue Cross Blue Shield of North Carolina plans and premiums you requested. A yellow apply button will appear to the right of each plan/premium. Click the yellow apply button to begin your online application process. Call our office (888-765-5400) so we can go over the plans with you and answer any questions about the benefits associated with these plans. The application itself takes 10-15 minutes to complete. You will create a user id and password that you will need to write down for future access into the application. You and other applicants will answer health questions pertaining to your health. In addition, you will enter any prior insurance coverage. Once submitted, the application will either be auto approved or submitted for further underwriting with BCBSNC. This simply means that your application received a final rate automatically. You will see this final rate at the end of the application. If you are in exceptionally good health and fall within the Preferred Plus guidelines set out by BCBSNC, you may qualify for a 15% healthy discount in your monthly premium. Many people will receive the preferred quoted rate. Some based on their individual health, could receive a rate increase. Blue Cross Blue Shield may require further information from you such as a telephone interview, a paramedical exam, or medical records. Our customer service representative and BCBSNC will contact you if this is required. All of these are processed with no cost to you. A telephone interview involves a phone conversation between the underwriting interviewer and the applicant confirming information on the application. The paramedical exam is a small physical exam that is performed by a nurse at your convenience at your home or work. An analysis of height, weight, blood pressure, blood work and urinalysis could be a part of the paramedical exam. Medical records may be requested from one of your health care providers. We recommend that you call that provider and let them know to be expecting this request so that they can process it in a timely manner. Once your final rate is approved, BCBSNC and our office will contact you to resume your application (with the user id and password you created), view your quote, accept and make payment. Once you open up the application, you will view the final rate for the plan that you applied for with BCBSNC. Before accepting this plan, you have the options to change to any plan that BCBSNC offers to you. For example, if you applied for Plan A 80% coinsurance with $2500 deductible, you can click on “Lower Cost Options” or “All Available Plans” and switch to any of those plans. This allows for more decision making based on the final rate and gives the applicant more choices. There are 2 payment options for Blue Advantage and Blue Options HSA. Bank Draft or Direct Bill. We encourage Bank Draft because it is convenient and you never have to worry about a lost bill in the mail. On-going Bank Drafts occur on the 2nd of each month for 1st of the month effective dates and the 12th of the month of 15th of the month effective dates. Initial Bank Draft payments for any effective date will occur on the 2nd of the month that the policy becomes effective. Direct Bill, requires an initial payment to be made by credit card online. The credit card will be processed for payment on the day it is entered. You will receive subsequent bills by mail each month with a due date of the 1st (for effective dates on the 1st) or the 15th (for effective dates on the 15th). These are mailed to the address you provided on your application within 10 business days. On the 2nd page of the booklet, you will find your id cards. Amanda Morrow is the customer service representative for Jerry Ballard and Associates. She resides in Morehead City, NC with her husband and 2 sons. Amanda is responsible for communicating with the applicants and enrolled clients of Jerry and Cathy. She informs applicants of their application status, assists them with the application process, and continues to support them once enrolled. Customer service is just a phone call away for your Blue Advantage, Blue Options HSA, Dental Blue, and other health insurance needs. In her spare time, Amanda enjoys boating, reading, and taking trips to the mountains. After attending UNC-CH and ECU, Amanda received her Bachelor of Science degree in 1998. She taught elementary school for several years before entering the medical and health world. Amanda was a pharmaceutical sales representative for AstraZeneca and St. Jude Medical. She began working for Jerry and Cathy Ballard in 2007. Amanda looks forward to working with each and every one of our clients.